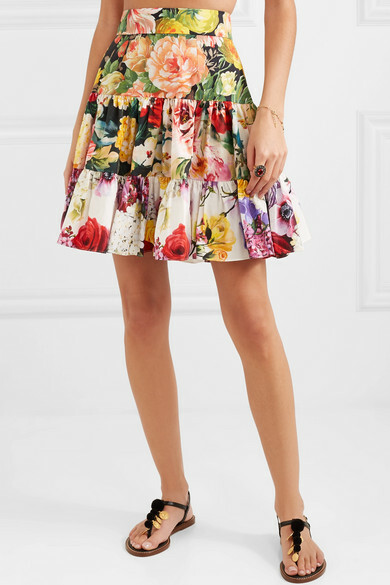 The pretty floral print on Dolce & Gabbana's skirt looks as though it's been taken straight from a painting. 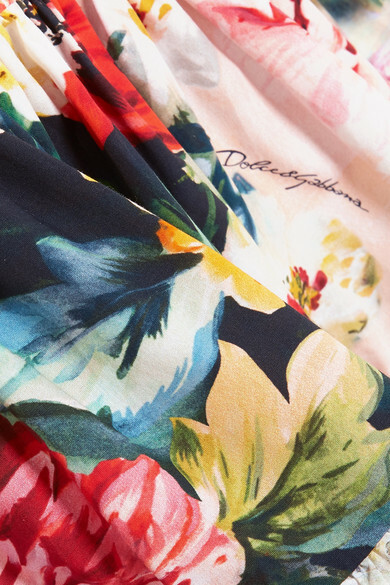 Cut from breezy cotton-poplin that's perfect for warm weather, it has an A-line silhouette with ruched tiers that move beautifully as you turn. Wear it on vacation with a cropped top, switching for a blouse in the evening. Shown here with: Dolce & Gabbana Sandals, EVE Denim Top, Carolina Santo Domingo Tote Bag, Dolce & Gabbana Earrings, Alexander McQueen Ring, Chan Luu Bracelet.